Even if you’re not Irish, you’re probably up for either a corned beef sandwich today or one of our corned beef and cabbage dinner specials which will include the ever popular colcannon. But here’s the big question – have you ever tried it? 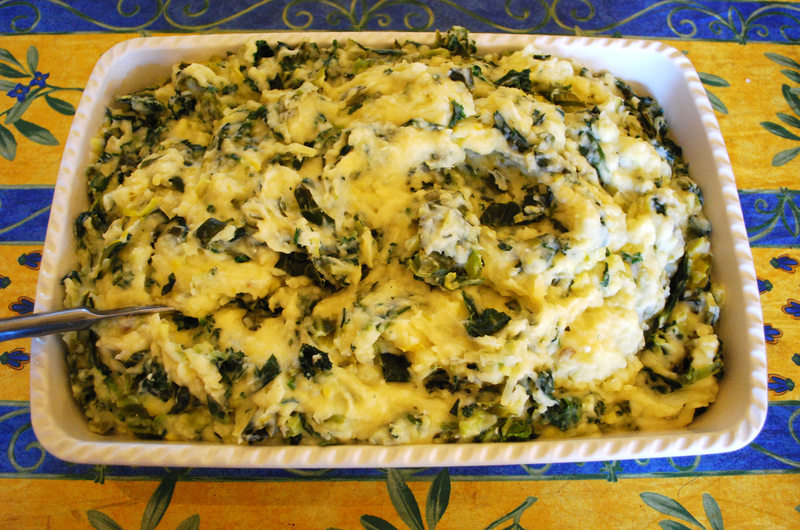 Colcannon (or “colchannon”) is extremely popular in Ireland and is much the same today as it’s been for centuries. It was traditionally eaten in at Hallowe’en as until recently this was a fast day when you weren ‘t allowed to eat meat. 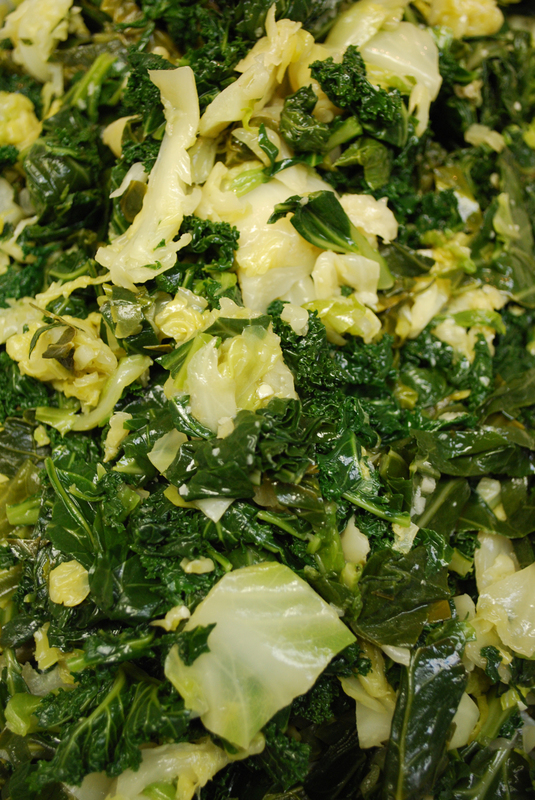 The name derives from cal ceann fhionn — white-headed cabbage. The correct way to make colcannon (according to Irish tradition) is with chopped kale (a member of the cabbage fam ily) but it can also be made with white cabbage. 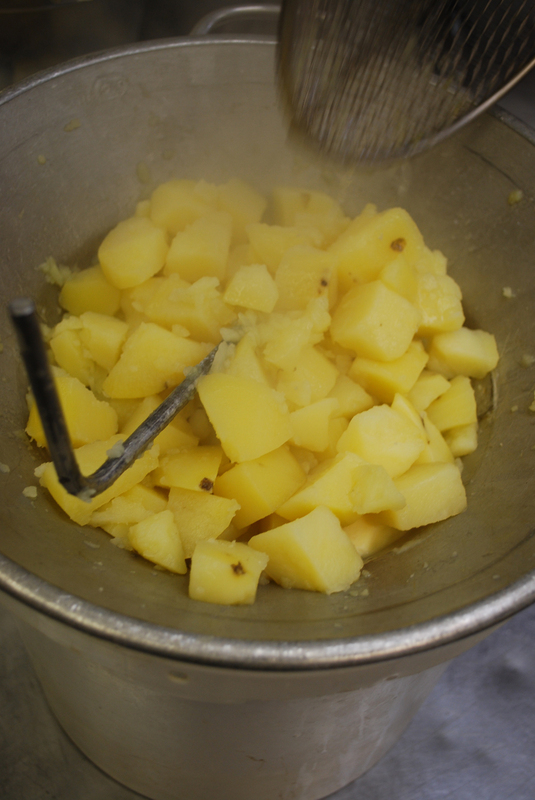 Here at Bistro-to-Go we cook up Potato Bob’s carola potatoes and mash them as we would to serve every day. 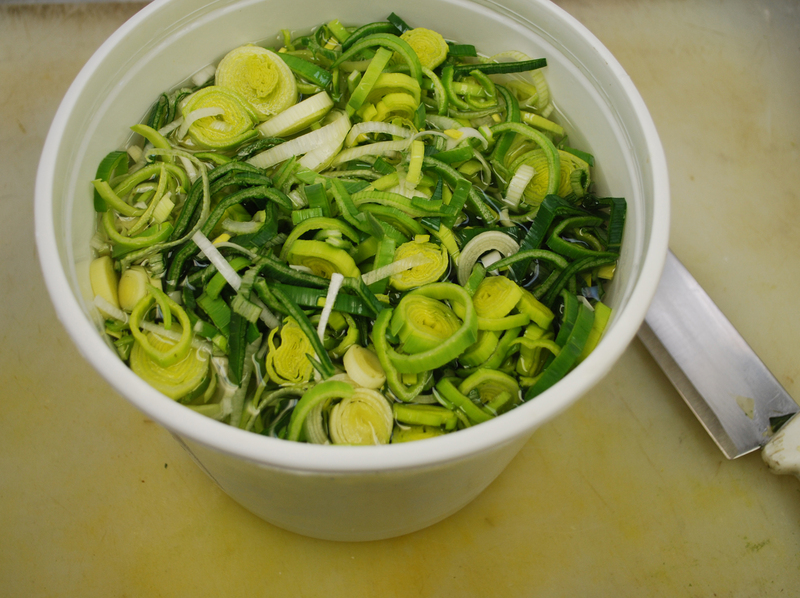 Take a bunch of leeks, chop them fine and soak in water to clean out the sand. Drain, then sweat them in a pan on top of the stove, sauteing with some butter, salt and pepper till soft. 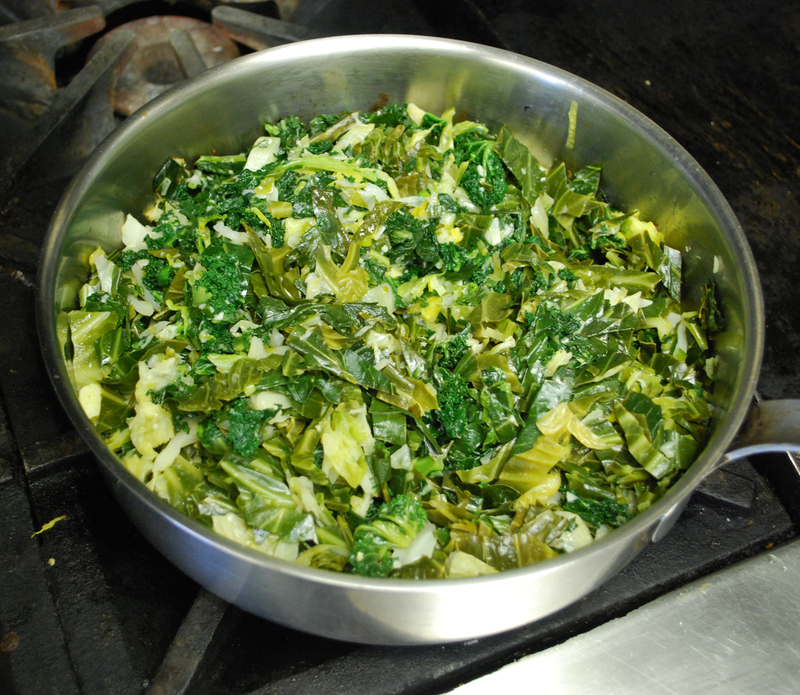 Chop the kale and savoy cabbage (the queen of all cabbage) into horizontal strips about 1″ wide and put into a deep pot with about 1″ of water in the bottom. Steam until they’re tender and drain off the excess water. 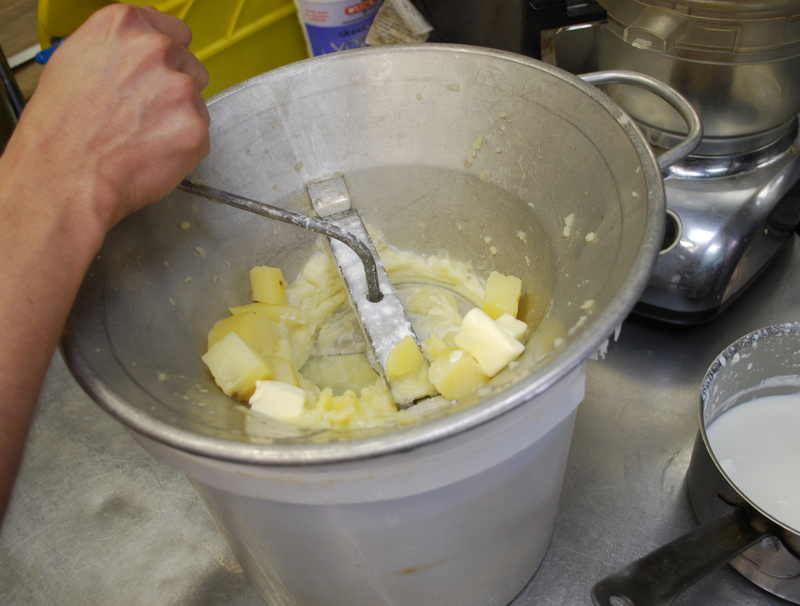 Toss in some olive oil, salt and pepper and stir into the potatoes along with the leeks. Check the seasoning and voila! 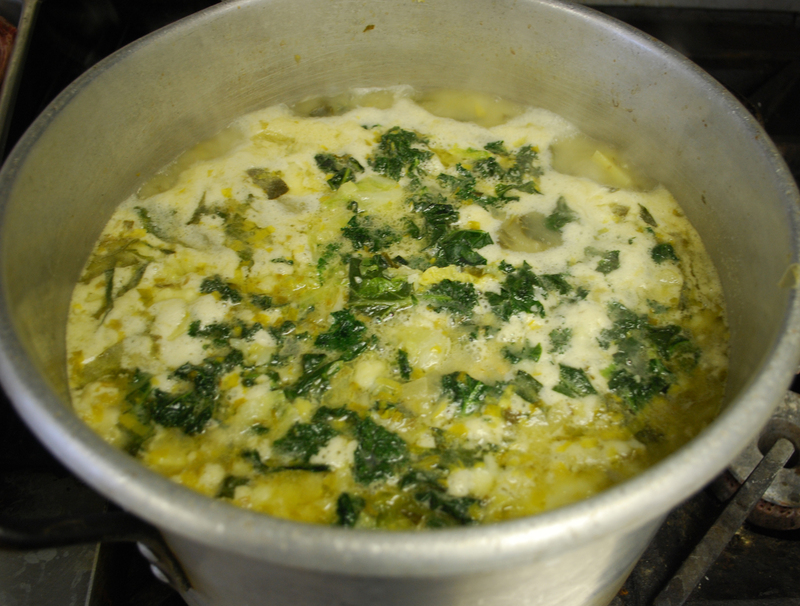 Colcannon! May the luck of the Irish be yours today!